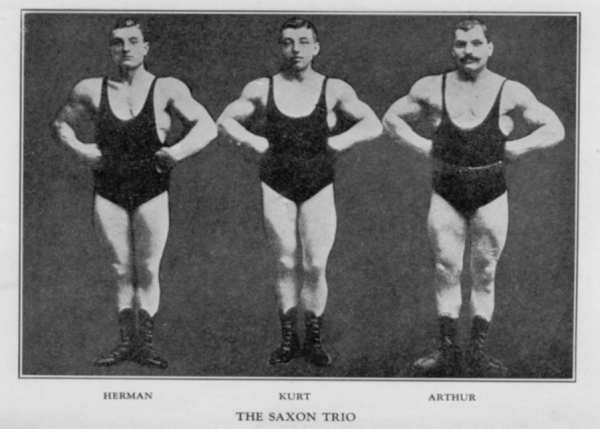 I think the lifts performed by myself and my brothers, Hermann and Kurt, to say nothing of some splendid 10-stone weightlifters, in England, should prove that there is quite an erroneous idea with regard to weight in relation to lifting. The general idea is that the heavier the man the better he will lift, but with regard to this I would point out that everyone may not be a successful lifter any more than everyone may be a successful musician or poet. 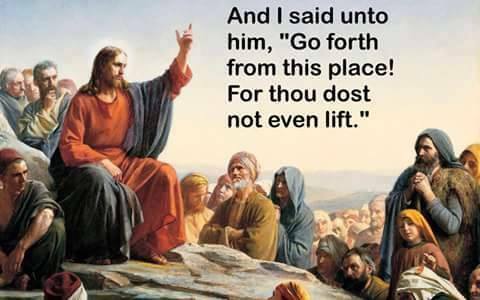 I have seen men weighing 18 stone who have practised weightlifting for a number of years, and whose best double-handed lift would be about 250 lbs. or 260 lbs. whilst Hermann and Kurt at 168 lbs. (12 stone), raise over 290 lbs. I consider myself quite heavy enough at 200 lbs. to meet any man in the world for the heavy weightlifting championship, all round lifting. 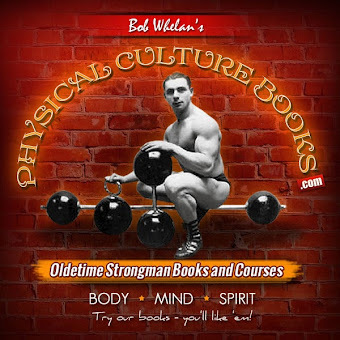 I am quite certain that the ordinary Physical Culturist, even the average weightlifter, does not know the correct places where one should look for power and development which would guarantee strength in lifting. In the ordinary way measurements are a most uncertain guide as to a man's probable powers in weightlifting. 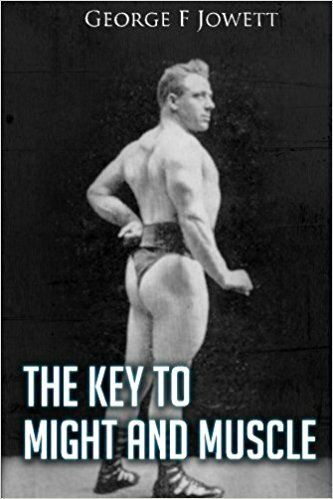 It is usual to compare the biceps, chest, thigh and calf measurements with the weight of the man, in an endeavour to find out on paper whether it is possible for him to lift such and such a weight which he claims he has lifted, and if the measurements are not satisfactory, the poor man is immediately put down as a perverter of the truth. If a man claimed to lift, we will say 280 lb. double-handed clean lift overhead, the ordinary Physical Culturist would look for a biceps measurement somewhere about 17 or 18 ins. at the lowest. It is quite wrong to endeavour to fix a man's ability by his measurements, also to gauge a man's strength from muscular photos. To prove this I would say that I have seen a 290 lb. bar-bell raised clean by my brother Kurt, when his biceps measurement was only 14-1/4 ins., and his weight 12 stone only. 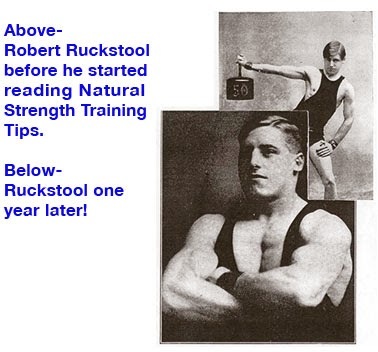 I will now proceed to explain how a man should be examined for physical power in relation to weightlifting. In the first place a man may not have a surprisingly large upper arm, but he may have an enormously powerful deltoid muscle. When Kurt only measured 15-1/4 ins., he had tremendous development in the deltoids, and these muscles come strongly into play in raising weights not only overhead, but also to the shoulders, and, in fact, in all lifts. Therefore, examine a man here rather than the upper arm. He was also extremely strong in the back and in the legs, therefore examine the muscle known as the spinus erectae, and also the thigh muscles. If a man should only measure 22 or 23 inches round the thigh do not condemn him as being light in the leg because you have heard that another strong man measures 27 or 28 ins. Examine the thigh just above the knee. Here some powerful muscles are situated which are not measured in measuring the thigh, and one man with a light thigh on paper may in reality have a much stronger pair of legs than another man with a much larger thigh, but who has not the strength I refer to just above the knee. Still further a man is handicapped who has small and weak wrists, although he may have a tremendous development elsewhere. Therefore a man with 15 in. 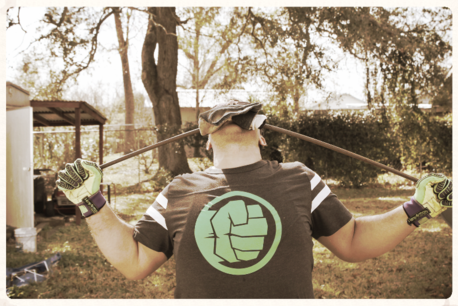 biceps and a strong wrist will raise a heavier weight in any position than another man with a 16 in. biceps who has a small and weak wrist. 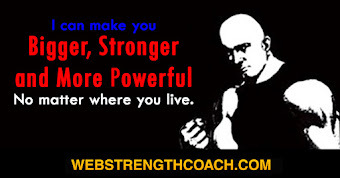 Bone and sinew strength count for much in weightlifting, and all the above points, you will admit, cannot be taken into consideration in considering a man's measurements on paper, nor in studying muscular photographs. I have gone thoroughly into this question because some lifters have said that I and my brothers are not large enough, or heavy enough, to perform the lifters that we claim. 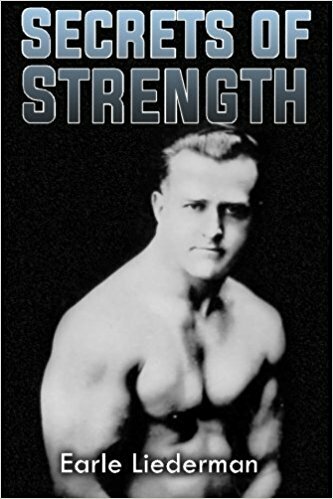 If we were examined along with other strong men, I do not think we should, after all, be found undersized compared with our fellow strong men, especially in bone girth, and in development of certain muscles most useful in lifting, but which many lifters have not properly developed. In photographs we may not appear to such advantage as some professional strong men who make a special business of posing before the camera. 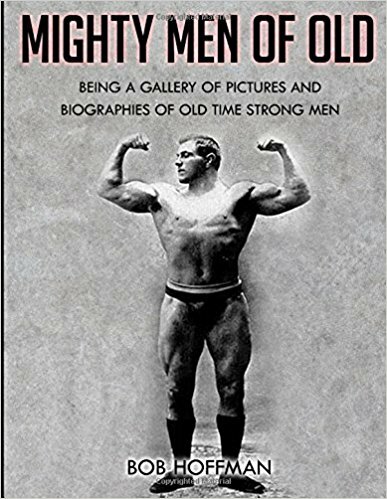 One prominent strong man, I have heard, spends nearly two hours each time he has his photo taken, in his dressing room, preparing himself for the ordeal of the camera, and I believe artificial means are often adopted to exaggerate the muscular development. For instance, by use of a burnt cork, abdominal development may be accentuated to a surprising degree. Now, I do not bother with such trickery, yet I know quite well my measurements are at every point larger than the strong man I have in mind. 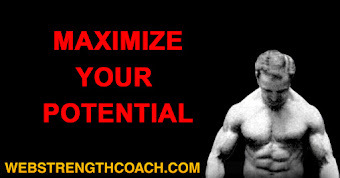 Then, again, must be considered the important factor of energy and speed. If you saw a photograph and read the measurements of an 18 stone lifter, you would naturally expect him to raise more than another man of only 12 stone, but you cannot tell from a photograph of from measurements what energy and speed the big man is possessed of. A number of heavy men are quite slow in their movements, and too lazy to do the hard work which constant practice leads to. Often they lift in a half-hearted fashion, and although they raise heavy weights, yet there is no reason why, in most positions, a 12 stone man, possessed of terrific energy and great speed and endurance, should not approach and even beat the heavy man.